• NEW! IN-GARAGE DELIVERY WITH KEY BY AMAZON – Prime members in select areas can opt-in with the myQ Smart Garage Hub to get Amazon packages securely delivered right inside their garage. Simply link your myQ account in the Key App. 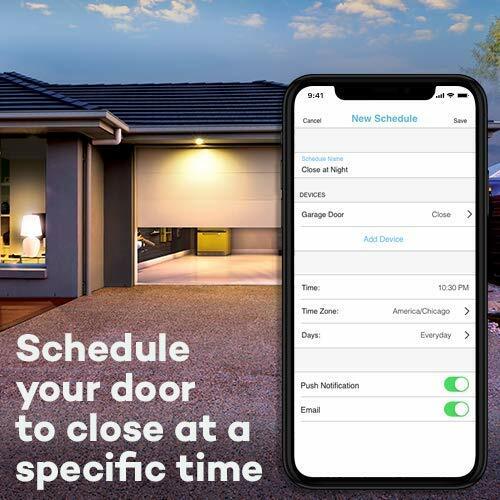 • SMART GARAGE CONTROL – Open and close your garage door from anywhere with your smartphone through the myQ App. 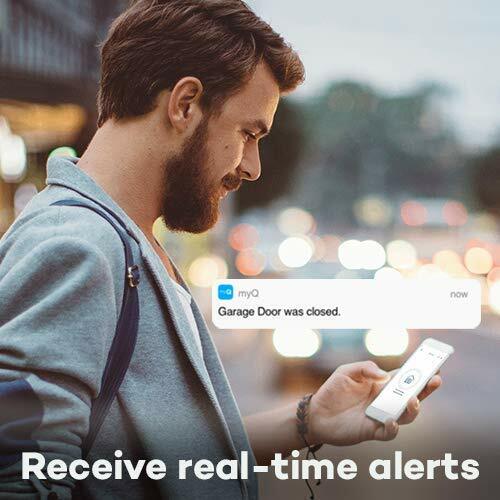 • SMART NOTIFICATIONS – Receive alerts when your garage door opens or closes in real time by setting up customized notifications – great for busy families who come and go from the house through the garage. 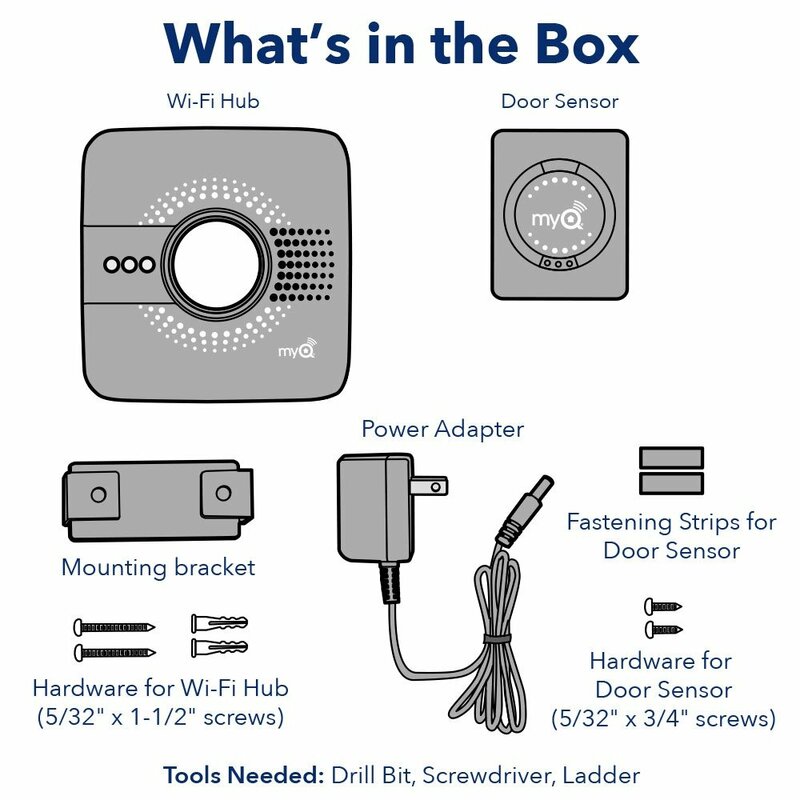 • UNIVERSAL – Easy-to-add functionality to upgrade your existing garage door opener. Compatible with most brands of garage door openers made after 1993 that have standard safety sensors. 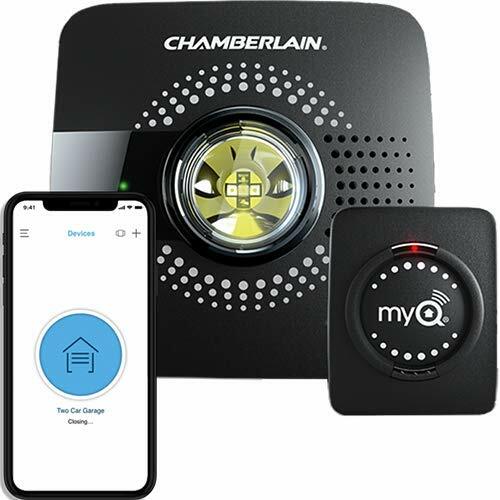 • GUEST ACCESS – Securely invite up to three people to control your garage with the myQ Guest Feature (Note: Not intended for guests under the age of 13). 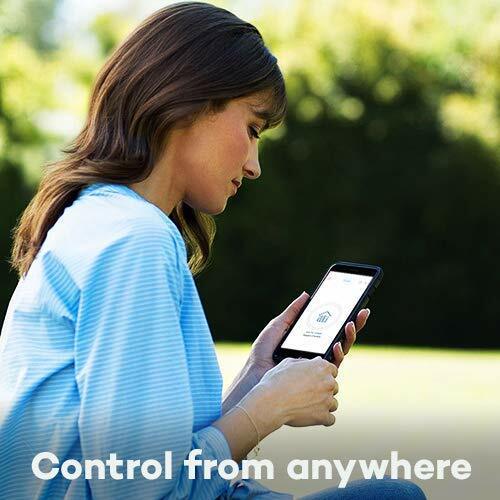 • SMART COLLABORATIONS – Linking your myQ account to Google Assistant and IFTTT requires a $1 monthly or $10 annual subscription fee. 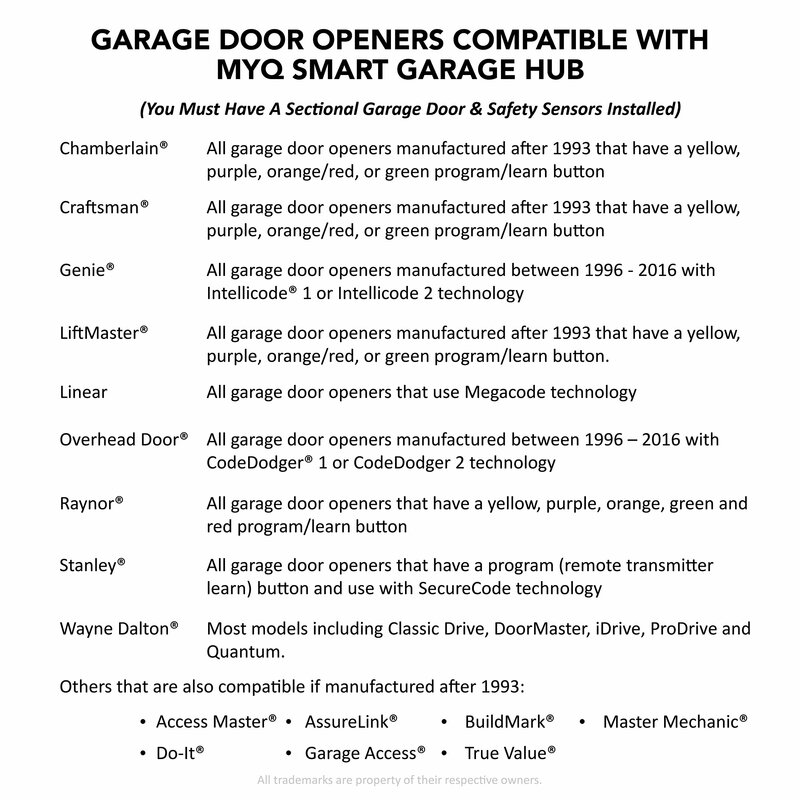 • CORE FEATURES - Opening, closing, and receiving garage door status notifications are INCLUDED with myQ App at no additional charge.